Climate change isn't waiting around for us to acknowledge its existence. Instead, climate change — and the ways we're contributing to it — is making the earth hotter and dryer, which is making certain natural occurrences like droughts even worse than they otherwise would be. A recent example? Wildfires are worsening in the American West, and we need to acknowledge that human action has contributed to this. The longer we throw our hands up and exclaim, "It's not our fault! It's Mother Nature!" the harder it will be for us to reduce our impact with green efforts or alternative energy. This fire wants to do whatever it wants. It’s defying all odds. Thirty-year, 40-year veterans have never seen this before. In 2014, a poll by the Pew Research Center and the American Association for the Advancement of Science found that 87 percent of scientists said that human activity is driving the trend of global warming. More importantly, the poll found that 77 percent of scientists said that climate change is a very serious problem. In contrast, a 2014 Gallup poll found that only 36 percent of Americans believed that global warming would pose a serious threat in their lifetime. Of those who believed it would pose a threat, 51 percent believed it will pose a serious threat to their way of life. I hate to be blunt, but are more than 100 wildfires burning across more than 1.1 million acres not affecting someone's way of life? The potential impact of believing in climate change and that humans have contributed to it, and then changing our actions accordingly, can go two ways. In the first, many people believe that we are contributing to global warming, so we favor policies that cost us more money so that we can reduce our impact on the earth and preserve it for future generations. In this case, we would probably set aside more money for natural disaster preparedness, and we would shape state-level environmental agencies around climate change predictions models. If people aren't contributing, what is the loss here? Money, sure. But in the end, what else are we losing other than money when we've gained ingenuity and have improved our relationship with the planet? In the second scenario, people choose not to believe that they are contributing to global warming. In this case, they don't see the point of providing more money for alternative energy research or in instituting emissions caps, and they're fine with dubbing disasters like these wildfires sad things that are out of their control. If the scientific consensus on climate change is right, though, that denial becomes a little more ominous. Three firefighters died just this past Wednesday because nobody was prepared for the scale of a fire in central Washington. 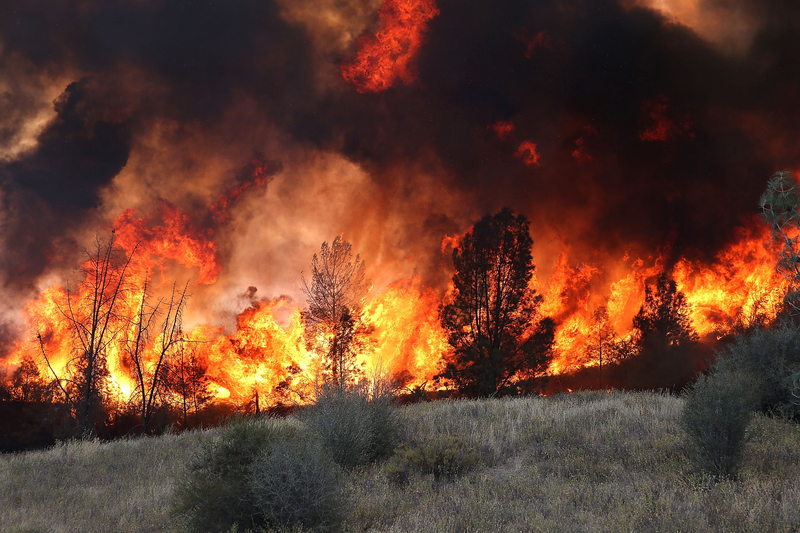 If we begin to take climate change and our hand in global warming more seriously, then we can better prepare for (and maybe even prevent) disasters like these fires out West.